Over the past few decades, branding has evolved to so much more than just a logo, a color palette, or a successful advertising campaign. Today, Bottom of Formbranding is built on every interaction between a customer and a business, both in-person and online. These interactions put brands that are striving for more tech-driven interactions actions in a unique position, opening up many more opportunities to create a perception with audiences, whether positive or negative. This statement, then, obviously begs the question, how can brands remain authentically human while utilizing essential AI technology? Regardless of how many AI technologies a company puts in place, it is still made up of the people in the business. Moreover, as long as there are people, the company culture will be based on the personalities and practices in place. So, why do people marvel at brands like REI, Warby Parker, and SAP? It’s not just because of their innovative products and services; these industry leaders are also well-known for their exceptionally progressive internal cultures; their positive brand image makes them more attractive to both customers and job-seekers eager to join their teams. In highly collaborative organizations, communication skills, leadership capabilities, and the ability to work well with others are mandatory skills. If a company's culture is highly innovative, then it is imperative that any new addition to the team has the creative thinking skills to be a definite asset to the team. Traditional recruiting methods often fall short in accurately assessing the “soft skills” that are necessary for success. Incorporating AI-powered recruiting systems enables hiring managers to ensure they have the data they need to understand a candidate’s strengths and where their weaknesses lie. The key to building a successful brand that stands out in the proverbial “sea of sameness,” is connecting with audiences on a personal level. 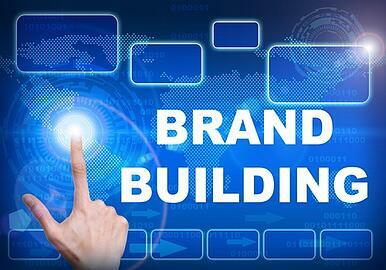 In short, branding is about creating relationships by understanding who exactly your audience is, and what they want. Creating an emotional connection with consumers is powerful and can determine whether or not a customer buys your brand. Consumers’ feelings towards a brand often stem from the content that a company distributes and whether or not it resonates with their audience. To build powerful emotional connections with your customers, you must first identify with whom you are trying to connect. Most marketers turn to metrics and analytics to determine the demographics of their customers; however, these assessments are not always accurate and failing to identify a critical demographic or niche of potential customers can be a costly missed opportunity. AI technology can help marketing teams collect and analyze masses of consumer data, giving marketers access to accurate information to drive their marketing strategies. With machine-learning technology, systems gather historical consumer information and translate it into comprehensive datasets for more precise audience insights. Moreover, according to a study by the Aberdeen Group, predictive analytics users are twice as likely to identify high-value customers and deliver better insights and results. Exceptional customer service is the most critical aspect of a positive brand experience, and according to Accenture, 45% of consumers, are willing to pay more for better service from a company. One of AI’s most significant benefits is the ability to facilitate the sales process through automation. When customers contact a company online, they expect a near immediate response, a task not yet feasible for many companies. However, AI chatbots can be quite valuable when answering FAQs, providing sales tips, or directing a customer what to do next. AI-powered chatbots can answer common inquiries through automated live chat, rather than having customers wait on hold for an available representative. Additionally, thanks to the power of machine-learning technology, these chatbots can improve over time by gathering feedback from each customer interaction. AI chatbots also make a significant enhancement to your sales process. By gathering consumer data, chatbots can recommend items based on customers’ personal preferences and purchase history. For example, Starbucks’ AI-powered app Chatbot, My Starbucks Barista translates complex information like “double upside-down macchiato half decaf with room and a splash of cream in a grande cup” into contextual data for marketers to analyze. Although AI technology is well on its way to developing human-like logic, it definitely cannot experience emotions like empathy or excitement on its own—at least not yet. Because both are important for building relationships with customers, the messaging and overall “personality” of the bot must be aligned and accurately programmed with the company’s brand in mind. Much like companies must train new customer service reps on the proper language to use with customers, chatbots must be programmed with the appropriate responses for various inquiries and issues. Using this technology enables businesses to instantly engage with customers at any time, helping to improve a brand’s image. Whether it is a response to a Tweet, a comment, or a direct message conversation, AI-powered bots can offer advice or resolve issues, and even make sales, while showing customers that they are reliable and engaging. Make no mistake; the next digital frontier is AI. While some brands are still reeling from previous digital disruptions, a new one is taking shape, but it’s the early days. There’s still time to make AI a competitive advantage for your brand.